The Centers for Disease Control and Prevention has launched a new awareness campaign to combat the abuse of prescription opioids, a marketing effort driven by surveys and focus groups that completely ignores the increasing role of heroin and illicit fentanyl in the nation’s overdose crisis. 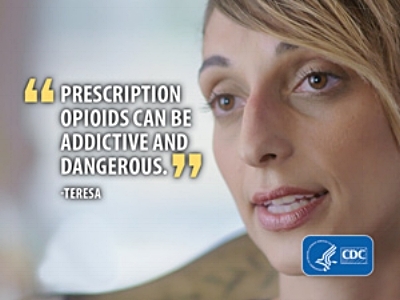 The Rx Awareness campaign uses videos, online advertising, billboards, newspapers and radio ads designed to increase awareness “about the risks of prescription opioids and stop inappropriate use.” The campaign will initially run for 14 weeks in Ohio, Kentucky, Massachusetts, and New Mexico, with a broader release expected as additional states receive funding through CDC programs. No estimate of the cost of the campaign was released. “The U.S. Department of Health and Human Services (HHS) is committed to using evidence-based methods to communicate targeted messages about the opioid crisis and prevent addiction and misuse in every way we can,” HHS Secretary Tom Price, MD, said in a statement. But little "evidence" is actually presented in the Rx Awareness campaign, which primarily uses slogans and emotional, “real-life accounts” of people recovering from opioid addiction or who have lost loved ones to a prescription opioid overdose. “Prescription opioids can be addictive and dangerous,” a woman says in an online banner ad. “One prescription can be all it takes to lose everything,” a man says in another ad. Although addictive behavior typically starts during adolescence, the Rx Awareness campaign is targeting adults aged 25-54 who have used prescription opioids at least once either medically or recreationally. “We learned that adults between the ages of 45 and 54 had not yet been targeted by a broad-reaching campaign. This information was reinforced by surveillance data indicating that the population with the highest fatality rate from opioid overdoses was non-Hispanic white adults ages 45–54,” the CDC said in an unusually detailed explanation of the marketing research behind the campaign. The four states initially being targeted all have soaring rates of opioid overdoses, but in recent years most of the deaths have been linked to heroin and illicit fentanyl, not prescription opioids. The latest report from the Massachusetts Department of Public Health, for example, shows prescription opioids were involved in only 15 percent of opioid-related overdose deaths in the state during the first quarter of 2017. Fentanyl was involved in 81 percent of the Massachusetts deaths and heroin in 39 percent of them. But fentanyl and heroin are not even addressed in the Rx Awareness campaign, because the CDC didn't want to risk “diluting” its primary message. “The campaign does not include messages about heroin. Specificity is a best practice in communication, and the Rx Awareness campaign messaging focuses on the critical issue of prescription opioids. Given the broad target audience, focusing on prescription opioids avoids diluting the campaign messaging. Heroin is a related topic that also needs formative research and message testing,” the CDC said. One of the video testimonials featured in the campaign is the story of Steve Rummler, a Minnesota man with chronic back pain who became addicted to painkillers. Rummler died of a heroin overdose at the age of 43. His mother Judy, who appears in the video, founded the non-profit Steve Rummler Hope Foundation, an anti-opioid activist group. The Rummler foundation is the “fiscal sponsor” of Physicians for Responsible Opioid Prescribing (PROP), a designation that allows PROP to collect tax deductible donations using the foundation’s non-profit status. PROP founder Andrew Kolodny, MD, is listed as a member of the Rummler foundation's medical advisory committee, as is PROP President Jane Ballantyne, MD. In the other words, the campaign is driven by marketing research -- not Secretary Price's "evidence-based methods." The CDC said most participants in focus groups thought the campaign material was "attention grabbing, believable and meaningful." Many also said they would share the video testimonials with others.